Please enter your e-mail to subscribe to this blog and receive notifications of new posts by email. In the IP Multimedia Subsystem, data pertaining to the subscriber is managed by different network entities. Network entities maintain role-specific data. This means that the data maintained at the network element satisfies the use cases of that network element only and helps in its proper functioning. These network entities belong to different telecom planes in the context of network deployment. Some of these entities belong to the signaling plane, some belong to the OSS/BSS plane, others may belong to the services plane and some may be part of the policy/QoS plane. Therefore, the nature of the data maintained at each telecom tier is specific to the functions it has to perform. There may or may not be a logical/functional linkage between the data fragments belonging to these diverse planes. However, there are instances where this diverse data has cohesions with respect to each other and there is room for optimized data storage. Sometimes, it becomes necessary to synchronize the data maintained at different planes. This is usually observed during certain provisioning scenarios. 1. 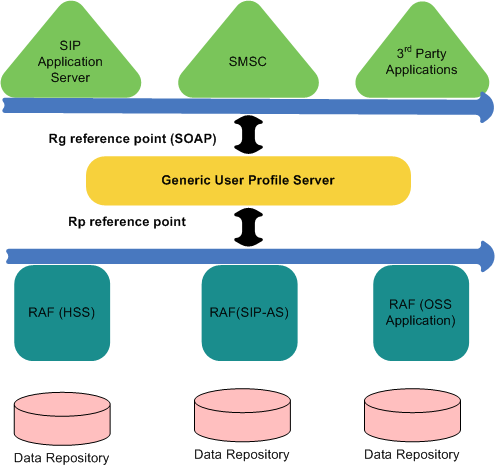 The 3GPP Generic User Profile (GuP), which represents a uniform and generic data representation paradigm for the IMS subscriber’s data. 2. 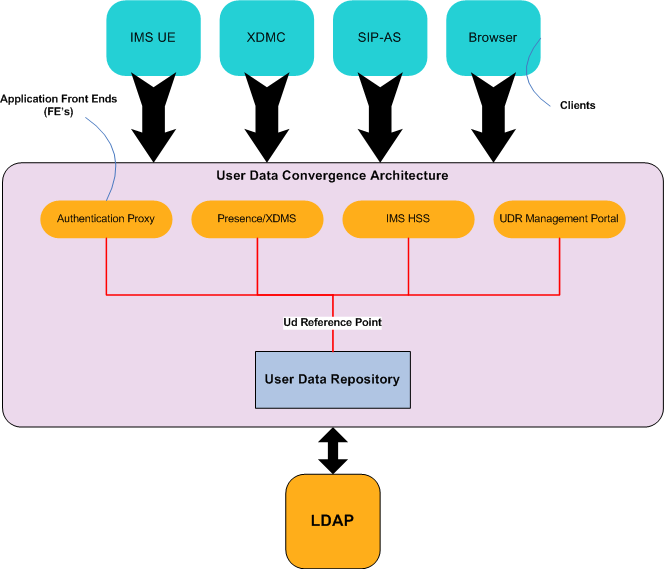 User Data Convergence (UDC), which presents an alternative architecture for optimized data storage for IMS network elements keeping in mind the challenges of scalability and redundancy. This post aims to harmonize these two central concepts to present a unified strategy for IMS data management exploiting the benefits of both these concepts (GuP and UDC). In addition to subscriber-specific data management, this post also explores possible solutions for maintaining IMS network element specific data by using the concepts of GuP and UDC. h. IMS network element specific data. There may me more categories and sub-categories in addition to those defined above. However, these are the “major” data types that are encountered during practical deployment. The first six categories (a-f) pertain to the data maintained for the customer. The last two categories (g-h) are maintained at the individual IMS network elements. This type of data may be regarded as internal configuration data that enables the proper functioning of the network element. This data may also be stored in north-bound management entities (EMS and NMS systems). Data management in the IP Multimedia Subsystem (IMS) is distributed amongst network elements. — When the subscriber is provisioned in an IMS network for the first time, a subscriber user profile is created in the HSS. This data is maintained in the HSS for as long as the subscriber is part of the IMS network. — If the subscriber opts for certain value added services, data pertaining to such services is maintained in the individual application servers that host the VASs. Some IMS networks also have a Service Delivery Platform (SDP) deployment that is a logical aggregate of SIP application servers. Hence, the data relating to services opted by the subscriber is maintained at the services tier. — Each subscriber has to be charged and billed for his services based on the tariff plans opted by the subscriber. Charging specific data and the tariff plan related information is maintained at the charging system. The charging system caters to both post-paid (CDF) customers and pre-paid (OCS) customers. 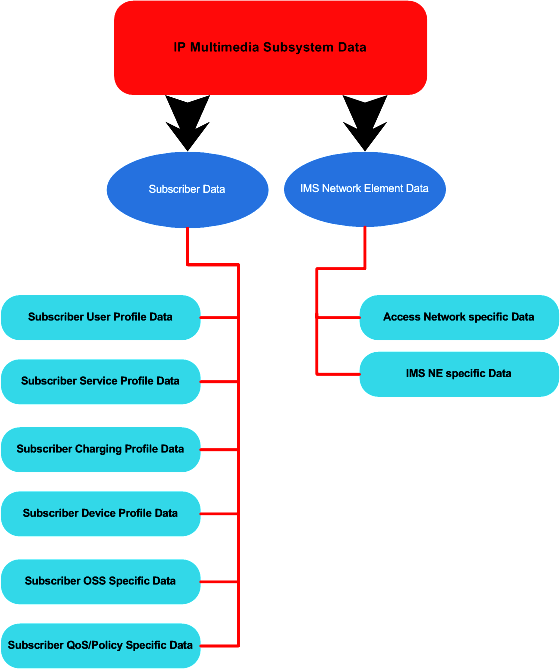 This charging profile is used for creating Charging Detail Records (CDRs) when the subscriber consumes his/her services in the IMS network. These CDRs are fed to the billing system (BSS) for the generation of itemized bills. — As the IMS core network is access independent, an IMS subscriber may own multiple devices that use different access networks to connect to the core network and its services. A subscriber may use Mobile WiMAX to access his data services and video share services. The subscriber may use a mobile handset (HSPA enabled) to access his Presence and presence-enabled services. A set top box may be used for accessing IPTV and triple play services and so on. Access network based information is stored at the PCRF, HSS and Session Border Controllers (SBCs). a. 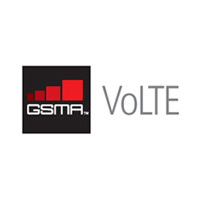 For providing proper Quality of Service based on the access network being used. Eg: HSPA and Fixed broadband customers shall enjoy GOLD class QoS. However, GPRS and WLAN based customers will be entitled to SILVER class QoS due to the inherent limitations of these networks. b. For applying access network based policies at the network elements. Eg: If the access network of the customer is Fixed broadband, then the S-CSCF needs to forward all requests unconditionally to an IPTV Application Server. c. For applying the appropriate charging strategy based on the access network in use. Eg: IPTV based Video on Demand can be charged based on the volume of data downloaded. However, Presence based services may be charged on a monthly basis. — Device profiles of IMS User Equipment can be stored in an OMA compliant Device Management server. This server can also be used for OTA updates and provisioning actions. Specialized device information such as the contact book, buddy lists and personal network management information can be stored in their respective application servers over the Ut interface. — OSS information pertaining to the subscriber has to be maintained at provisioning platforms, such as those defined by the NGoSS body. A subscriber may have logged many active requests and queries to the OSS system. These requests are executed by business processes modelled by using BPM (Business Process Management) tools and they frequently require offline action by the carrier. In the meanwhile, the business process related data has to be maintained at the OSS platform until the requests are closed by the operator and the requests are resolved. User Data Convergence (UDC) aims to address the siloed approach of data management across telco planes and network entities. In the current data management scenario, data is managed individually by network elements in their own closed repositories. This approach of data management gives rise to rigid data silos. When scaling the network, the number of network elements also increase. This leads to further fragmentation of user data amongst multiple instances of the same logical application. Eg: For supporting 3 million BHCA, if we deploy 3 HSS instances in the same domain, then effectively user data of that domain is being maintained at three separate locations, even though the data access function (HSS) is the same logical application. With the advent of IMS and IMS based services, data management at several places poses a major operational and maintenance issue. Introduction of new user data becomes an issue, as any new user data attribute needs to be reflected at multiple locations. Moreover, data synchronization across multiple locations becomes a major challenge. e. Reduce CAPEX and OPEX for the carrier. Therefore, UDC aims to provide convergence of user data in order to enable smoother management and deployment of new services and networks. This section will provide an introduction to the UDC architectural model and its major interfaces. Client applications may be IMS clients, XDM clients, SIP based application servers or PC browsers. The application front ends are functional entities, such as the HLR/HSS/AUC, Application Servers, Access Network Discovery and Selection Function in Home Network (H-ANDSF), any other Core Network nodes, Provisioning system, etc. When the UDC architecture is applied, application front ends keep the application logic, but they do not locally store user data permanently. These data-less functional entities are collectively known in the UDC architecture as Application Front Ends. There is a special Application front end for the UDR which is used as a provisioning application for it. It is called a Provisioning Front End. The Provisioning Front End is defined as an Application Front End for the purpose of provisioning the UDR. The Provisioning Front End provides means to create, delete, modify and retrieve user data. The User Data Repository (UDR) is a functional entity that acts as a single logical repository that stores converged user data. 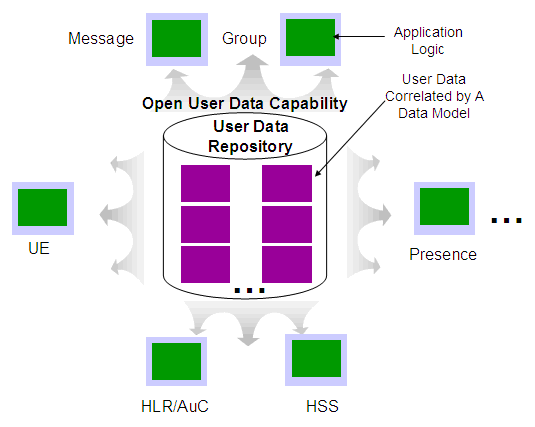 The user-related data that traditionally has been stored into the HSS /HLR/AuC, Application Servers, etc., is now stored in the UDR according to a UDC information model. UDR facilitates the share and the provisioning of user-related data throughout services of 3GPP system. UDR provides a unique reference point to one or more Applications Front Ends, such as: one or more HSS/HLR/AuC-FEs, and one or more AS- FEs. The reference point is named Ud. UDR shall provide support for multiple applications simultaneously. Applications that are 3rd party or are outside the trusted domain of the IMS network can access the UDR after proper authentication and authorization procedures have been applied. The Ud reference allows different FEs to create, read, modify and delete user data stored in the UDR. The Ud reference point also supports subscriptions/notifications functionality which allows a relevant FE to be notified about specific events which may occur on specific user data in the UDR. The events can be changes on existing user data, addition of user data etc. All these operations are ACID compliant (Atomicity, Consistency, Isolation, and Durability). Conceptually speaking, the GUP is a 3 tier architecture. It consists of client applications, the GUP server and the data repositories. The key objective of having this architecture is to have a harmonized means of data access for a particular user. A user may have data relating to his services, charging policies, QoS metrics and HSS profile data, all of which is maintained separately by these entities. Each entity would also have its own unique semantics of data storage. 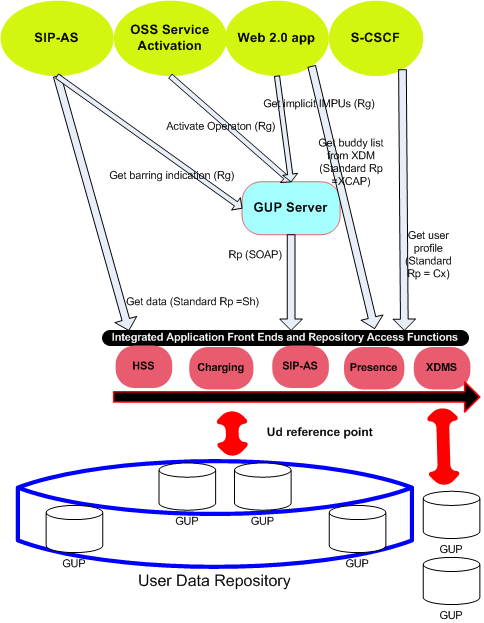 The GUP provides a common mechanism of data addressal, reference, access and modification to all applications that may need this data for their functioning. GUP data may be stored at one place, or it may be stored with different entities. However, the data access and manipulation semantics shall comply to the GUP architecture. This will allow uniformity with regard to the management of the subscriber’s data. – Applications in the home network. – OAM and subscription management applications. The GUP Server acts as a single point of access of subscriber data. The physical location of the GUP server is implementation dependant and the standard does not impose any special requirements. The GUP server acts as a single interface which is exposed to the client applications who wish to manipulate the subscriber data. The GUP server can act in two modes, namely proxy mode and redirect mode. While operating in proxy mode, all requests made to the GUP server are proxied to the appropriate data repositories. The results of those queries are returned back to the application by the GUP Server. While operating in redirect mode, the GUP server redirects the client application to the actual GUP repositories that contain the data which was requested initially by the client. The interface between the client applications and the GUP server is the Rg reference point. The RAF behaves as an abstraction between the GUP server and the GUP data repositories. It hides the actual implementation of the data repository from the server. The interface between the GUP server and RAF is the Rp reference point. The data repositories store the master copy of one or more GUP data components. These are the two major reference points in the GUP architecture. The clients share the Rg reference point with the GUP server. The protocol on this interface is SOAP (Simple Object Access Protocol) which is exposed as a web service to the clients. The Rp reference point shall allow the GUP Server or applications, excluding external applications (e.g. located in a third party application or in the IMS UE), to create, read, modify and delete user profile data. Rp is an intra-operator reference point. These are the application servers and applications that need access to GUP data components. They may host some GUP data components themselves and may act as RAFs. These two architectural options provided by 3GPP can be harmonized and used together to achieve a cohesive strategy for data management and access. While UDC provides a common data management and access architecture, GUP provides a means of locating and addressing that data using a common strategy. This section will provide a unified architecture that leverages upon the concepts of UDC and GUP to provide a unified data management strategy in an IMS network. These are the applications which act as consumers of the data. The data being referred to in the unified architecture is the GUP data fragments. The GUP data is being stored in GUP repositories that form parts of the User Data repository (UDR). For applications that wish to access the UDR over a proprietary interface (labelled as “other ref points” in the UDC standard) shall use the standardized Rg reference point that follows the SOAP/WSDL standard semantics over HTTP. Client applications such as Web 2.0 applications, OSS entities and self care portals can use the Rg reference point to access the UDR. The Rp reference point allows entities belong to the same home network to directly access the user data from the RAF. Therefore, SIP application servers will access the user data over the Sh interface from the HSS belonging in the same network. However, if it needs to modify data that is outside the scope of the Sh XML schema, it will need to send the request to the GUP server over SOAP giving instructions to execute one of the standard procedures over the Rg reference point (Create,Modify, Delete etc). These procedures will be mapped to their appropriate counterparts over the Rp reference point. Application front ends of the UDC architecture will behave as RAFs for their respective GUP components. These RAFs will support both standard interfaces (as described in point c) and SOAP based Rp interfaces. The UDR will now be composed of GUP data repositories. However, there may be instances where the data model of certain GUP components require a separate data repository. In such a case, the GUP repository will be outside the UDR. The location of this distributed GUP component will be resolved by the GUP server by locating the appropriate RAF component. The Ud reference point will be re-used as an interface between the integrated RAF+FEs and the actual UDR (or independent GUP repository). 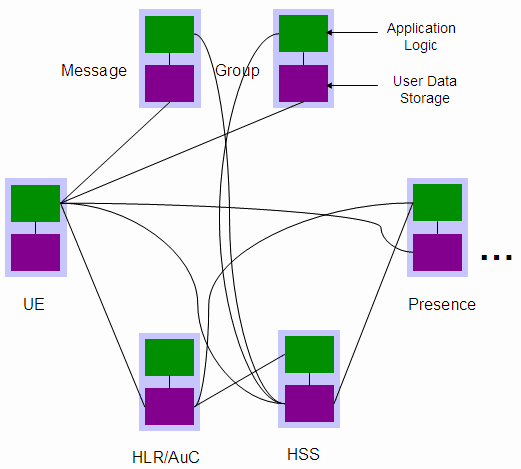 The following figure gives an outline of the UML model of the logical view of the HSS IMS GUP Components. The main Component is called HSSIMSData. 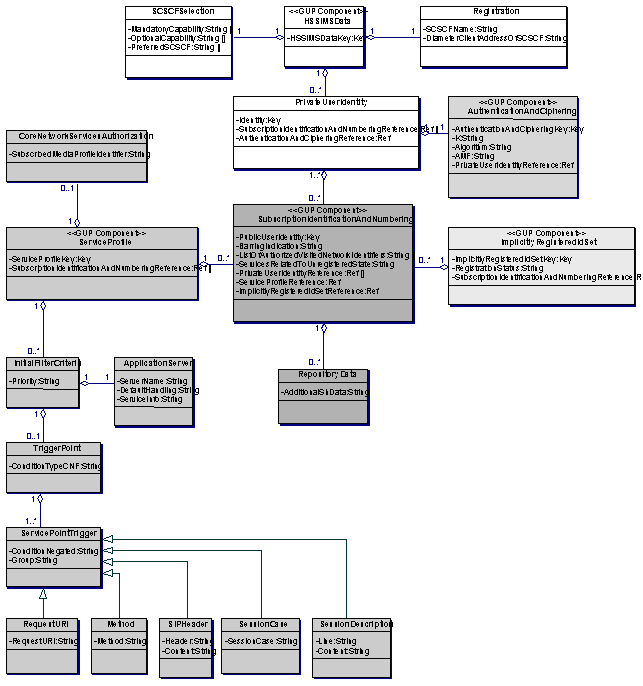 Each element in that figure represents a part of the XML Schema structure, either a GUP Component or a lower level block of data contained in a GUP Component. Elements marked with the same background colour make up an independently manageable GUP Component, whose root is marked with ‘<<GUP Component>>’. All HSS IMS GUP Components can be managed with the procedures provided by GUP. Please refer to the unified architecture described in Section-6 for realizing these use cases. In this use case, the S-CSCF requests data over DIAMETER protocol from the HSS to execute its duties during IMS registration. Here the Rp interface is nothing but the standard Cx interface. In this use case, the service activation eTOM of the OSS system activates the service of a particular subscriber by invoking an operation in the IMS HSS. Here the interface under use is the Rg interface over SOAP protocol. In this use case, a SIP application server retrieves data from the HSS regarding the barring status of an IMS public user identity before executing its service logic along with the repository data stored in the HSS. The repository data is retrieved over the Rp interface, which is nothing but the Sh interface. However, the barring indication information is taken over the Rg interface. A Click-to-Call application fetches the buddy list of a subscriber who has just logged into the server over the standard Rp interface that uses XCAP protocol towards the XDM server. The same application then subscribes to the presence status of each buddy present in the list over SIP protocol. A Web 2.0 application requests the subscriber’s presence information from the Presence Server and his/her photograph from a Flickr application repository. After the presence data has been fetched, this application retrieves the implicit IMPU set from the HSS. Then this application fetches the location of each of the registered public user identities. All this information is then rendered on a Google Map application complete with presence status and a photograph thumbnail. The subscriber requests to subscribe to the voicemail service over a self help portal. On accepting the agreement, the Self help portal sends a trigger to the charging platform to deduct the amount suitable for this service and executes a create procedure towards the HSS to create an iFC component (The ServiceProfile <<GUPComponent>> defined in the standards). This operation takes place over the Rg interface. It is feasible to integrate and leverage upon the strengths of the User Data Convergence (UDC) architecture in cohesion with the Generic User Profile (GUP) semantics to derive a hybrid data management strategy. However, the final reference architecture can be derived only when the concrete use cases to be supported are known. A unified architecture will make data management and data access more intuitive and re-use the standardization principles wherever possible as demonstrated in Section-6. The IP Multimedia subsystem provides a well defined and streamlined architecture for charging multimedia calls and services. The IMS network elements interface to the charging platform over the DIAMETER protocol to enable both pre-paid and post-paid charging. 1. The Charging Data Function (CDF). 2. The Online Charging System (OCS). The CDF is responsible for receiving triggers for offline (post-paid) charging, while the OCS is responsible for receiving pre-paid charging triggers. The CDF supports the Rf DIAMETER application, while the OCS supports the Ro DIAMETER application interface. The Charging Detail Records (CDRs) are collected and co-related at the Charging Gateway Function (CGF). The CGF acts as a gateway to the Billing System, which performs mediation duties. In the IMS architecture, the P-CSCF, S-CSCF, SIP-application servers, MRF ,MGCF,BGCF and the I-BCF all need to support the offline charging application interface (Rf interface). This means, that they all act as charging clients (CTF) in case of post-paid scenarios and send triggers to the CDF. The S-CSCF, the MRF and SIP Application servers support the online charging interface towards the OCS. The IMS Gateway function facilitates the online charging functionality in the IMS architecture by acting as a SIP AS. A quick look at this architectural challenge, presents us with a nearly all connected architecture for the CDF (it interfaces with almost all network elements for postpaid charging). This means, that the CDF acts as a multiplexer of incoming DIAMETER commands. Even for a simple IMS call, the CDF will receive triggers from the P-CSCF and the S-CSCF. If there is an application server involvement (Eg: Supplementary services) in the call flow, it will receive a trigger from that AS as well. If an I-BCF is present in the network, and the call needs to be terminated in another IMS domain, the I-BCF will also send a trigger to the CDF. This is a very practical scenario, as almost all IMS customers will subscribe to at least one supplementary service and every IMS core network is expected to have border control and peering functions for security (I-BCF acting as an entry and exit point to the network). This translates into four DIAMETER transactions for the CDF for a single IMS transaction. A single IMS call initiated by an INVITE may have multiple chargeable transactions involved (those for UPDATEs, RE-INVITEs and finally for BYE). Let us take an example of one IMS call for the sake of calculation. A reasonable load of 100 calls per second is assumed in the calculations. We will only consider “chargeable” transactions i.e. transactions for whom a DIAMETER trigger will be sent to the CDF. A single call can have an INVITE transaction, an UPDATE transaction, a RE-INVITE transaction (assuming there was only 1 re-invite in the call) and finally a BYE transaction. Thus, we have 4 “chargeable” transactions. For each transaction, a DIAMETER ACR/ACA exchange takes place between each network node and the CDF. Even for a reasonable load of 100 calls per second on the IMS core, the DIAMETER transactions for the CDF will need to scale up to 1600 TPS. This provides us with a 1:16 scalability requirement for the Charging Data Function. For the Online Charging System, only the S-CSCF (through the IMS GWF), SIP application servers (if any in the call path) and the MRFC send charging triggers. For the sake of calculation, if we have one application server in the path of an IMS call, then a single IMS transaction will result in 2 DIAMETER transactions on the Ro interface. Taking the above assumptions, where a single call has 4 “chargeable” transactions, and a moderate load of 100 cps, the OCS requires to support 800 TPS. This provides us with a 1:8 scalability requirement for the Online Charging System. The scalability factor requirement for both the CDF and OCS is considerable. In case of the OCS, the response time of the CCR will also affect the call setup latency, as the calls to CCR are synchronous. Unless a CCA is received, the SIP signaling is not put through. In view of the above scalability requirements, we can now plan further on the nature of the deployment architecture of the CDF and the OCS. Even though the scalability requirements for the OCS may seem to be half (800 TPS) of what is projected for the CDF (1600 TPS) , but the complexity of the OCS is much more as compared to the CDF. The online charging system has many internal modules responsible for real-time rate determination, calculation of the units to be debited and account balance management. Moreover, these modules need to be invoked for each IMS call. The OCS also needs to support time based and content based charging paradigms. This means, that the OCS node is a mission-critical and real-time charging engine. Apart from real-time traffic, non-real time traffic such as pre-paid balance inquiries, pre-paid recharging etc also need to be handled at the OCS (either through an IVR or a SMS based mechanism). On the other hand, the CDF is responsible for creating and dumping the CDR files. There is no real time rate determination or account balance management involved. The raw CDRs are transported to the billing system (BSS) over FTP, where the itemized billing and mediation takes place. In view of these architectural discrepancies and varying levels of complexities between the CDF and the OCS, it is clear that there needs to be an architectural separation between the OCS and CDF for deployment. This means, that we have to deploy both nodes independently on dedicated machines and possibly in their own independent clusters. Let us consider a single IMS domain. A single IMS domain will consist of its own S-CSCF, P-CSCF, SIP application servers (as needed), MRF, I-BCF(or a comparable SBC) and the charging platform (consisting of the OCS and the CDF). For greater scalability, it is proposed to have a dedicated cluster for each charging entity. The OCS application should have its own cluster and so should the CDF. 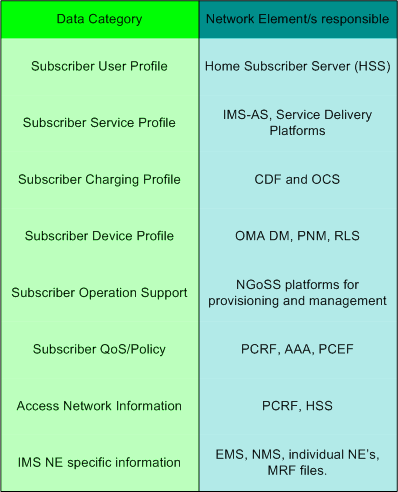 Both the OCS and CDF may share the same gateway (CGF) to interface to the Billing domain. The clusters should have a DIAMETER load balancer (for the Ro and Rf applications) installed to distribute load amongst the cluster instances. For hardware configuration, the cluster members may reside on the same machine (for smaller deployments) and on a hardware pair (active-standby) to achieve hardware redundancy. Usually, for carrier grade deployments, hardware redundancy is a necessity. Discussed below are certain deployment configurations of the OCS and the CDF for varying load requirements. The deployment architectural choices shown below also consider hardware redundancy. NOTE: “Servers” may vary from case to case. You may go for a T-1000, T-2000 or a higher end SUN server. You may also go for a “cheaper” option by using HP servers (8 cores and 16 GB RAM). For large-scale carrier grade deployments, an ATCA is a must (12 blades and above). 270 CPS is assumed to be the call rate of SIP signaling during peak load. This is the most common deployment scenario considered in telecom and usually serves as a benchmark. a) Server-1 has CDF active and OCS as stand-by. b) Server-2 has CDF stand-by and OCS as active. This simple deployment will provide us with software and hardware redundancy, while also providing dedicated 8 core servers for each charging application (OCS and CDF). Software redundancy can be performed by providing 2 independent processes of the CDF and OCS on each server (active) and 2 more processes of the CDF and OCS (for stand-by). A software load balancer may be used for distributing this load amongst the OCS and CDF processes. This is called a 1+1 active-standby configuration. Each active instance of the CDF is expected to handle up to 4320 TPS at peak load. Each active instance of the OCS is expected to handle up to 2160 TPS at peak load. This deployment scenario is shown below. The red-arrows depict change-over in case of hardware failure. Software fault tolerance is taken care of by switching between the software instances of the OCS and the CDF by using a software load balancer. Each server may host multiple software processes for the CDF and the OCS. Each process can be a full CDF/OCS application in its own right. The load balancer may also be deployed in an active-standby configuration similar to the CDF and the OCS. The CDF and OCS active processes may be more in number, based on the scalability requirements. Each new process of the OCS or the CDF may be instantiated using a CLI or over SNMP, when the element management systems get an alarm of possible overload or traffic peaks. Other interfaces for this deployment can be a command line interface (CLI) for polling the system and performing administrative tasks. Other interfaces will be over SNMP to the northbound management systems for monitoring the system health and servicing alarms. In case of higher loads, the system can switch to a 1+1 Active-Active configuration, where all software processes of the CDF and the OCS are accepting DIAMETER requests. The load balancer will handle the distribution of the requests amongst the processes. In case the capacity is still not sufficient, new application processes of the CDF and the OCS can be started by firing the appropriate CLI command to scale horizontally. For deployments for over 1 million BHCA, as shown earlier, the load on the charging platform will be even higher. For catering to such traffic, a time will come when the system needs to scale out. We may require a server pair for the CDF and the OCS dedicatedly. Another interim option is to have all active CDF processes on one machine and all active OCS process on another machine and horizontally scale by increasing the number of processes. This post was an attempt to quantify the challenges at hand for scaling the Charging platform in the conetxt of IMS. As seen, the requirements for scalability for the charging platform is more challenging than the other core network nodes. The scalability factors increase almost exponentially as the load on the IMS core increases. Hence, a robust scalability architecture needs to be devised for catering to the same. Integrating Ericsson SDS IMS Simulator with Mobicents and then rocking the house with Eclipse. In this post, I will explain how to integrate the Service Development Studio (SDS) which emulates the entire IMS core network, the HSS, a DNS server and BGCF etc with the Mobicents communication platform (also called JBCP). IMS application development and testing could not get any more productive for developers using this combination. The IMS application server used here on top of Ericsson SDS is the Presence Server deployed on Mobicents. STEP-1: Download and Install Ericsson Service Development Studio in Eclipse. I am using Eclipse Galileo for this demonstration. Once you do so, you should see a list of packages for installation. However, the packages will only be visible if you un-check the option that reads: “Group Items by Category”. Once you do this, you will see the packages that need to be installed. Once the packages are installed, re-start Eclipse for the changes to take effect. Once you restart Eclipse, you will start seeing the views associated with SDS. The next step is to configure the HSS. Go to the HSS view as shown in the figure and configure the Service Trigger Point (SPT) for the Presence Service as shown below. The SPT is for the PUBLISH method, which is used by the presentity to publish their presence status to the server. By defining this SPT, we are telling the S-CSCF to make a routing decision for this message, whenever it is received. Now, specify the definition of the SPT in the HSS view as shown. Define an initial filter criteria for this service, the SIP application server to be contacted (Mobicents in our case) and the default handling to be undertaken by the S-CSCF, in case Mobicents is not reachable. The default handling here is SESSION_CONTINUED. After the initial configurations of the DNS server and the HSS, it is time we start the action. Now start the CSCF by navigating to SDS—>Server—>CSCF—>Start CSCF. Now start the test agent by navigating to SDS—>Test Tools—>Start Test Agent as shown below. Now create a REGISTER request as shown in the figure and register the test agent with the IMS core network. You can provision any number of users in the HSS and register them in the IMS core network. After creating the REGISTER request, send it to the IMS core network by clicking on the button and receive the 200 OK. You can also see the call flow in Eclipse that updates itself dynamically as the SIP messaging progresses. Here, I am using Mobicents as the application server over IMS. Use the Presence Serve binary given here and start it on your local machine by issuing a run.bat -b <ip-address> command on Windows and a run.sh -b <ip-address> on Linux. Make sure that JAVA_HOME environment variable is set properly. Now, using the test agent send a PUBLISH request. Do not forget to add an Event:presence header to the request. Send the request to the IMS core network. On the basis of our earlier configurations, the PUBLISH message will reach the Presence Server as shown below and is then processed by the Presence Server. So, you can see, how productive it can be using the right open source tools and projects for IMS service development and testing. It can save you a lot of time and effort by using the right tools. Instead of struggling with Open IMS core, SDS can be used for IMS emulation. On top of the IMS core, you can use the Mobicents platform for rapid service creation and deployment. All this can be achieved by JAVA developers using familiar tools (Eclipse workbench) and on the same machine ! So guys, dont wait…try it out !! Tell me how you liked this demonstration and give me feedback. Please feel free to post here, in case you encountered any problems, or if this demo helped you in any way. 3GPP IMS Release-9 Highlights and Changes. 3GPP IMS Release- 9 has been around for some months now. From the IMS core network perspective, there have been certain additions and modifications to the procedures given in TS 24.229. This specification acts as the ‘bible’ for any vendor wishing to implement IMS. This specification also changes and updates itself very frequently and usually comes with scores of additions and modifications in its quarterly minor releases. Some of the major highlights of Release 9 are discussed. The current release at the time of this post is 9.1.0 which is being discussed here. As these changes are very low-level and implementation specific, it seems that there is still heavy refactoring going on in 3GPP for aligning the procedures for IMS and coming out with a stable set of procedures (atleast for the core network entities). Such changes can be very difficult to spot and implement from the developer’s perspective. Some changes given below can even force you to modify some of your use cases. Personally speaking, it becomes very frustrating when the procedures change so frequently. Atleast, there should be no changes/bugs in the core procedures of the IMS nodes. IMPORTANT NOTE: Read on at your own risk. Not for the weak at heart. 1. Clarification in UE procedures for sending requests on protected ports to the P-CSCF regarding subsequent registration requests. 2. Addition and clarification in UE procedures regarding the usage of the ‘outboud’ parameter in the Supported header. It also includes a check whether the ‘reg-id’ and “+sip.instance” Contact header field parameters are present in the 200 OK of the REGISTER request. 3. Elaboration on the decision making of the UE regarding the S-CSCF behavior, if the ‘outbound’ parameter was not present in the 200 ok for the REGISTER. 4. A note providing an implementation option to the UE in case Timer F expires at the SIP Stack. 5. Change of procedures on the number of REGISTRATION attempts by the UE and in case of failure, the procedures that follow it (exception handling). 6. Removal of procedures at the UE that needed a check for Retry-After header for re-attempts for Registration. 7. Removal of procedures at the UE (2 postulates) when it sends a SUBSCRIBE to the network. 8. Removal of a check at the UE for sending a SUBSCRIBE for the debug event package. 9. Addition of a postulate for generic procedures except the REGISTER request handling where now the protected port has to be added by the UE in the Contact header. 10. Refactoring of the abnormal exception handling use cases at the UE when it receives 504 error response. 12. Additional responsibility at the UE to advertize support for draft-ietf-sipcore-keep for emergency IMS sessions. 13. Major refactoring on pages 92 and 94 regarding the interpretation of certain XML elements for emergency sessions initiated by the UE when it was registered using non-emergency registration procedures. 15. P-CSCF procedural support for draft-ietf-sip-outbound, and addition of the ‘ob’ parameter in the SIP URI. 19. Clarifications in points 8 and 9 of P-CSCF registration procedures while dealing with a UE behind a NAT and alignment with draft-ietf-sipcode-keepalive. 20. P-CSCF can now not close the TCP connection with the UE in case it has been detected to be behind a NAT ! 21. P-CSCF can add the “received” parameter and the “rport” parameter in case SIP Digest without TLS is being used as the security mechanism with that UE. 22. Additional check at the P-CSCF in case SIP Digest WITH TLS is being used, that the FQDN in the Contact header resolves correctly to the IP Address bound to that TLS session. Here the P-CSCF will perform a reverse DNS query ! 23. P-CSCF has to check whether there is an I-BCF in the network while sending out SUBSCRIBES to reg event packages. If there is no I-BCF, do a DNS lookup and send it to the I-CSCF, else send it to the I-BCF. 25. Inspection of the host portion of the sent-by field of the Via header received from the UE at the P-CSCF. Check whether the IP address given there differs from the source IP from where the packet was originally received. Also add the UEs protected server port over there. 26. P-CSCF abnormal cases postulate (a) asks it to add some elements of the 3GPP IM CN subsystem XML body while sending an error response. 27. P-CSCF procedures, initial request for a dialog handling procedures, Section 5.2.6.3.3, postulate 5C, remove any P-Preferred-Identity headers if present. 28. Clarification in postulate 6 of section 5.2.6.3.3. 31. P-CSCF procedures for generic response handling now require the inspection of the rport and received parameters before sending out any responses to the UE. 32. In section 5.2.6.4.4, P-CSCF now has to remove any P-Preferred-Identity header if present. This is an extra check now. 33. Postulate 3, section 5.2.6.4.4, P-CSCF needs to remove the “comp” SIP URI parameter from the Record-Route header. 34. P-CSCF needs to remove the P-Preferred-Identity field in section 5.2.6.4.8 postulate 1A. 35. Clarification that the P-CSCF needs to support draft-ietf-sip-outbound in addition to 3261 for section 5.2.6.4.8 while deciding upon the forwarding the request to the UE. 36. Major refactoring additions of the procedures for the P-CSCF in section 5.2.10.3 postulate 1A. Some 3-4 checks have been added. 37. Refactoring of point 3 of section 5.2.10.3. Point 3 has been changed to align towards draft-ietf-sipcore-keep. So this postulate needs to be re-implemented. 38. Inspection and addition of the 3GPP IMS XML schema elements in section 5.2.10.4, postulate OA, points II and IV. 39. Major major refactoring, removal and additions in the procedures of the P-CSCF in points 1, 1A, 2 and 3 of section 5.2.10.4. Almost everything has been modified here ! Reimplementation required. 40. P-CSCF abnormal exception handling procedures aligned to the processing of the 3GPP IMS XML body. 41. S-CSCF procedures for initial registration have to inspect the P-Access-Network-Info header to decide the authentication scheme to use for the UE. 42. S-CSCF procedures for receiving an unprotected register request additions to handle the REGISTER from an MSC enhanced ICS node. 43. S-CSCF derivation of IMPI for NASS IMS bundled authentication in case the Authorization header is missing. 44. S-CSCF inspection of the “reg-id” parameter, the “ob” parameter and the “outbound” parameter in case of IMS AKA authentication, and sending of a 439 response. 45. S-CSCF procedures section 5.4.1.2.2, point 11 has almost been scrapped and the earlier checks removed. 46. Digest URI need not match the SIP URI in case a reg-await-auth timer is running and SIP Digest is the mechanism used at the S-CSCF for authentication. 47. Inspection of the Authorization header to contain the “auth-done” parameter at the S-CSCF. 48. Clarification for the <ims-3gpp> element in 3rd party registration procedures. 49. Check for P-Served-User header in S-CSCF procedures section 5.4.3.2 and associated procedures if its not present. 50. Addition of the P-Asserted-Identity header in the 504 response at the S-CSCF and the <ims-3gpp> element as well in the body. 51. Section 5.4.3.3, points 10 a and 10d of S-CSCF procedures have undergone major additions and refactoring. Re-implement it. 52. Removal of authentication parameter checks in point 3 section 5.4.3.6.1 of the S-CSCF procedures. I hope you all enjoyed this list. What it does to the developer is, that you go in a forced fixing loop and your focus goes away from adding more features…..to fixing existing ones and aligning them to the standard ! I just hope that we do not get a list of such major changes in the procedures in the next incremental release. Please note, that these changes only account for those in the procedures of the UE, P-CSCF and S-CSCF. I-CSCF was fortunately untouched in this 3GPP Release. There might be many more changes in the procedures of other nodes such as the BGCF, MGCF, I-BCF, E-CSCF etc…which i have not listed here.